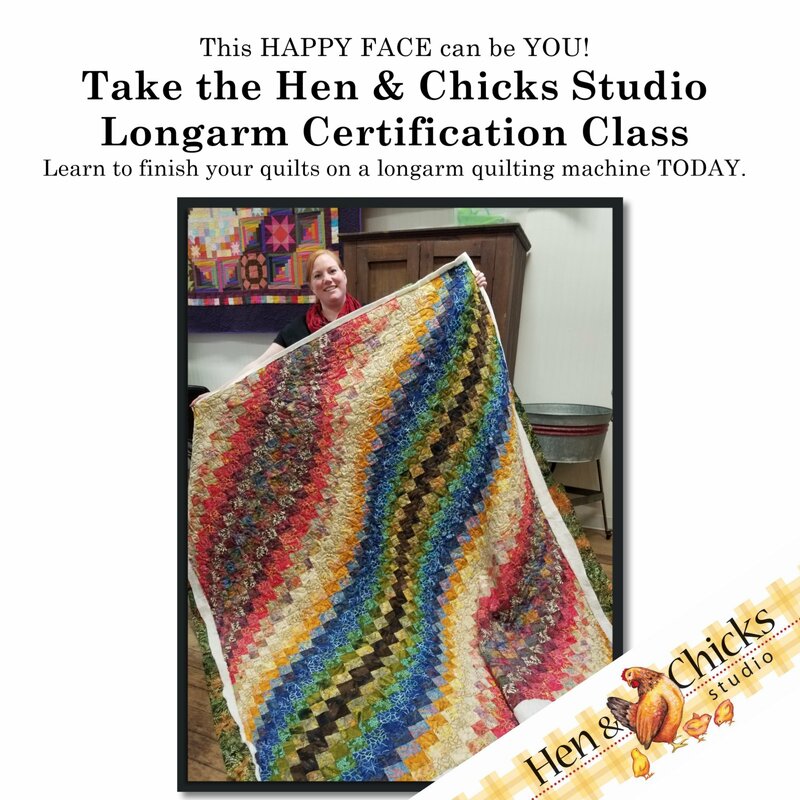 Marilyn Kidd will lead you through the process of learning to load a quilt on our APQS longarm quilting machine. During class you'll practice using the machine while quilting on a fabric panel that will later be donated. By the end of class you'll have a basic understanding of how the machine works and what you'll need to know to come back and rent the machine to finish your projects.